Help Shannon raise $10,000 for Save One Life! Shannon Peterkin is a husband to an amazing wife and father to two incredible children. Aiden is 16 years old and has severe hemophilia A, and Isabella is 12 going on 20. He has been actively engaged in the hemophilia community for 15 years including serving as a member of the board of directors for the Hemophilia Foundation of Illinois, and as a founding member of Dads in Action chapter in central Illinois. He currently resides in Baton Rouge, Louisiana and supports his hobbies by working as the Radiation Protection Manager of a local nuclear power plant. 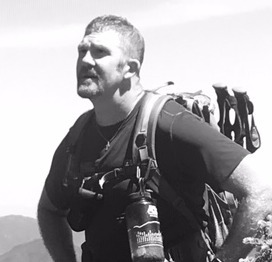 His passions are fishing with his son, crossfitting with his wife, mountain biking with his daughter, hiking with his Navy brothers in arms and occasionally sneaking in a hunt. While he and his wife have sponsored a child through Save One Life for years, this will be Shannon’s first Kilimanjaro summit.